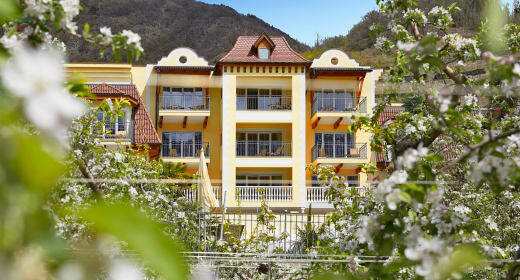 The diverse Ski Resort Merano 2000 is only one hour’s drive away from the Dolce Vita Hotels. This South Tyrolean ski resort is especially suitable for families. It is of manageable size and it is easy to agree on wonderful meeting points when taking different downhill runs. No-one gets lost in this ski resort. Every skier and snowboarder will find a suitable downhill run on this sunny high plateau. Children love the Ski Resort Merano 2000 because of Lucki‘s Children’s World – an amazing playground in the snow for the youngest winter fans. Lucki, the mascot of the ski resort, is a Haflinger horse and children will have much fun with him. Change from skis to toboggan and dash downhill at a racy pace because the pistes are lit at night in January and February. The ski resort is open in the evenings from 7.30 pm until 10.30 pm every Friday. Why not combine a day on the pistes with a visit to Merano? The ski resort is situated directly above the picturesque town where you can spend a wonderful time with your family. Leisure skiers love the Ski Resort Merano 2000. If you are still looking for a room for your family winter holiday then send as your non-binding request. We look forward to your visit.